Of all the comic book movies that have been coming out this past 10 years or so from Marvel, and having been a big reader and collector when I was younger, meant most of them I was pretty familiar with, with exception of Guardians of the Galaxy, as I didn’t even know that was a thing until the film came out. 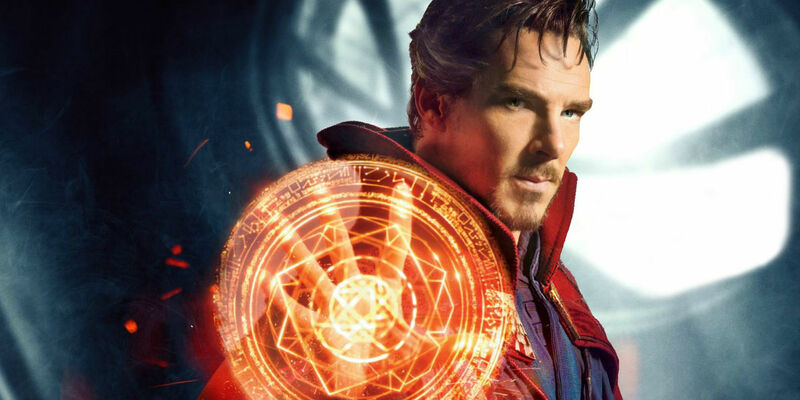 But one character that I knew of well enough, but didn’t know much about in a deeper sense, was Doctor Strange. I know that might sound odd, that I can know of the character a lot without knowing much about him, but at the same it does make sense. He was woven throughout a lot of the comics I read, though I never got into his solo stuff. The solo stuff is where they go deep into the individual characters, but when they popup from time to time, it tends to focus more on their abilities and how they can help the current situation more than anything else. So in some way I was ‘almost’ a blank slate with this film, though at the same time not, as I just simply love what Marvel has been doing with their filmic universe. As the origin story unfolded, the only thing that stood out, and not in a good way, was the American accent of Benedict Cumberbatch. Maybe it’s just that I’m not used to him doing one, but either way it did stand out a little bit in a bad way. Though those thoughts didn’t last long, as eventually I didn’t notice it at all. Another thing I felt the film struggled with was the humor. It tried to be funny a lot, just like other Marvel films, but this time it felt all a little forced. I’m not sure if that was because of the writing, the directing, or even the actors delivery, but even though I did find parts funny, there were other parts that felt a little flat in that regard. The action set pieces were awesome, and with the magic element brought us something we haven’t seen yet which was pretty damn cool. So though not the best Marvel film in the bunch, it was still solid, and has launched a major player moving forward in the marvel filmic universe.